More info:Discounts available for groups. The more friends you bring, the cheaper your trip. Groups of 7+ can tailor their own dates. Calling all wannabe castaways. This is your chance to become ‘stranded’ on a desert island in Panama and survive using your wits and a few tried and tested techniques as taught by the resident Man or Woman Friday. There aren’t too many opportunities to make a desert island survival adventure so much fun but, believe you me, when it’s finally time to leave, you won’t want to be rescued. Listen to the rise and fall of the waves as the salty sea breeze tickles the palms and helps your beach fire, that you started without matches, toast freshly collected coconuts. Sometimes only a swim in the ocean is what’s required to cool off at the end of each and every day with sunset strolls, along the sand, all that's required to get you dry before returning to camp for fireside chats, stars and fireflies. This ten day small group experience will teach you all the skills and techniques that you need to survive. You will become truly enveloped in nature with full training given alongside limited equipment to ensure your castaway adventure is as authentic as possible. Although your first night will be in a four-star hotel that’s where the luxuries end. Getting to know the rest of your soon to be ‘castaways’, in comfort, is always an exciting and enlightening experience. Many of you will have similar backgrounds and expectations however, there are always a few surprises in the pack. Next stop, the island. By speedboat. 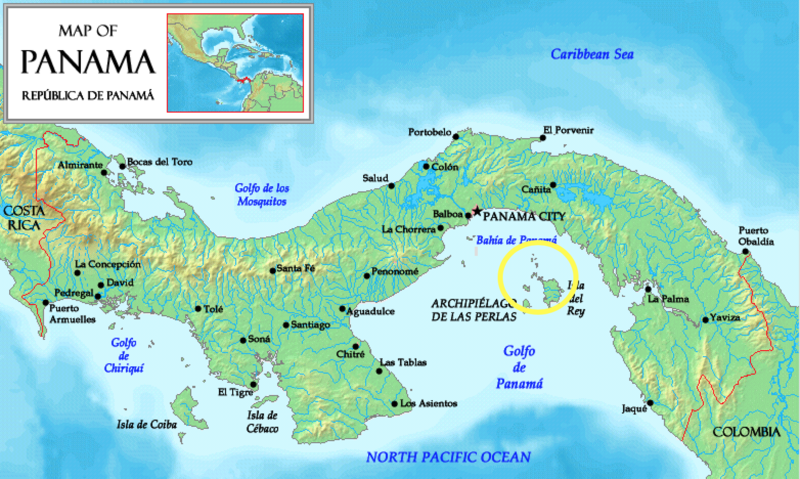 This will be your new home in Panama for the next eight nights. Five of those nights will come after a good day spent training and learning actual survival skills and how to use equipment. For the remaining three nights you’ll be left on your own with a machete, fish hooks and a satellite phone for company. On the final day you may welcome the treat-laden speedboat rescue team with open arms or wish that you’d missed the boat. Whatever happens, this is going to be an experience to truly savour and not just because of the cocktails and the three course celebratory meal that you’ll get to tuck into upon completion. How to build different shelters and bed spaces (good quality Hennessy hammocks will also be used). What to do with water to make sure it’s safe and well used. Find out fire making techniques using a bow drill, steel wool and a bamboo saw. Learn the names of resident animals and plants, and how each is important to the island. Find out how to fish with just a line and hook, as well as learning how to trap and spear fish. Identify fish before catching, prepping, cooking and eating. Learn how people in Panama used to cook using traditional bamboo pots, clay ovens and smoking grills. Make your own containers and cooking equipment using natural materials. Learn how to make cordage from natural products. Become a trapper and learn how to hunt. Keep an open mind when it comes to coconuts. Discover how to attract attention from the island to get rescued. for us, time on a desert island is not just about developing survival skills but about taking time out of our busy schedule disconnect from the rat race and become immersed in nature. After their time on the island, we like to think that our clients leave feeling a deeper connection with the natural world and a renewed passion to protect it. Due to the nature of our expeditions, we have an exceedingly small footprint using next to no electricity, and consuming under 200Ltrs of water. An amount incomparable to a traditional stay in a hotel. We take the time to ensure the pristine environments we work in stay that way, only taking what we need to survive and ensuring any rubbish we find during our expeditions is collected. We only eat fish that are of mature size and of species we know to not be threatened. Due to the fishing techniques we use, their is never any bi-catch. The archipelago of islands we operate in is yet to have much in the way of established tourism. What accommodation and transport we do use, we take pride in supporting and employing local residents of the islands we work in. We only employ local boat drivers and avoid chain hotels. We are still small, but as we grow we plan on further developing our support of the local community and implement island conservation initiatives because the world is far richer for untouched island paradises. The island that our expedition takes places on is an important nesting ground for green and olive ridley turtles. We are working to spreading awareness to the local population on the value of the natural world, not just for aesthetics but for their own tourism. We have a great relationship in place with the local communities we work with and we ask all of our guests to show the upmost care to ensure this relationship is maintained.